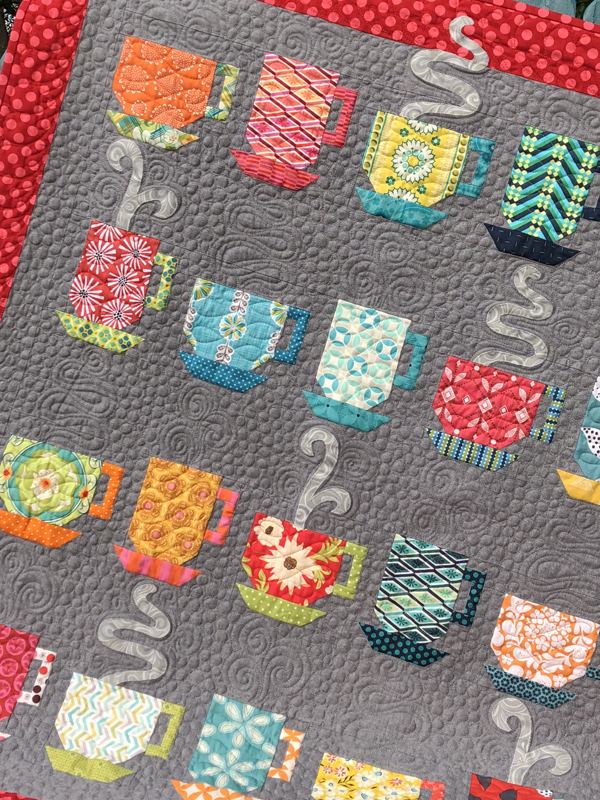 This is the most inspiring quilt design and tutorial I have seen in a long long time - thank you so much for posting and sharing!! 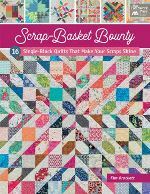 I have a great stack of fabrics that has been waiting for a project like this. I'm so excited to get started! This is just the sort of quilt pattern/tutorial I love - you showed us exactly how its done, and then we get to take off and play from there, knowing that its going to turn out darling. 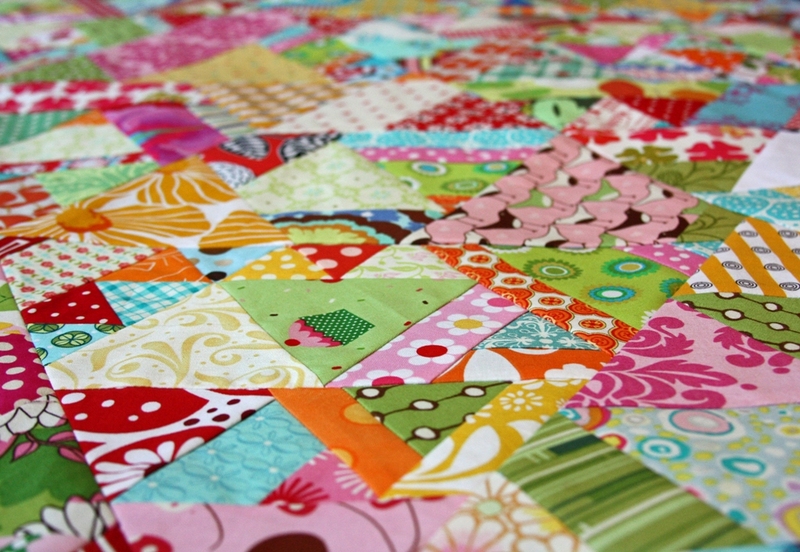 It's truly a creative and original idea for a scrap quilt, and your fabrics and colors are so fun and vibrant and cute. Thank you bunches!! How on earth have I managed to miss this inspirational design..so far! 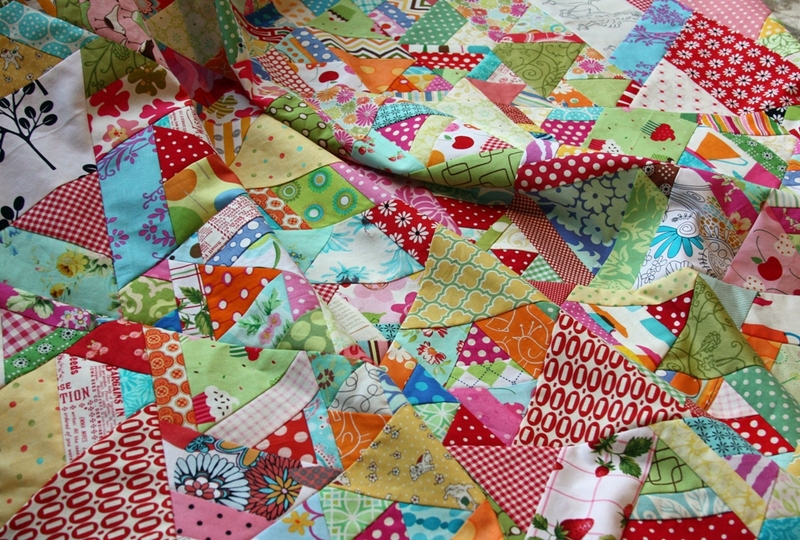 When I looked at the picture of your quilt, there is no way I would have guessed how it was put together. The method is really cool. 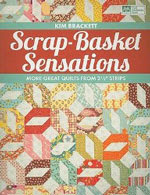 Thanks for the great photos showing how to use scraps in a creative way. I have just begun venturing into the 60 degree world and this pattern and tut is perfect. Thank you! Fabulous idea! Thanks for sharing your process. I can't wait to try it! Thanks! This is the closest pattern I can find to the Sochi Olympics patchwork design. Yours is based on overlapping triangles and the other looks more like overlapping diamonds. I'm going to see if I can adapt your technique to diamonds. Wish me luck. Thanks for this tute. 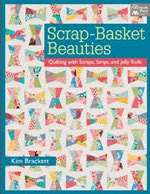 I have all your books and my quilts turn out so beautiful. You are now my #1 quilt person and someday I hope to meet you. Glad to find the tute. 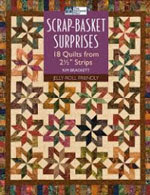 Just mentioned two of your books on our FB page Key Grocery and Quilts! Wish I could subscribe to your blog by email. I miss a bunch on bloglovin. Thank you for this tutorial. 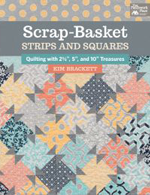 I am a novice quilter but kept thinking there had to be a way of using all the little scrap pieces. Found your tutorial, now I can make your units as I work on the main project. Fantastic:). Thankyou for the wonderful instructions and for sharing your inspiration. Any suggestions for how to quilt it? I made a wall hanging from this tutorial using a layer cake. Every time I look at it I remember how much FUN it was to make. Thank you for sharing!